The client, a prominent Canadian humour blogger, was looking to refresh the appearance and functionality of her blog. The client was looking for something that was clean but clearly communicated with her readers. 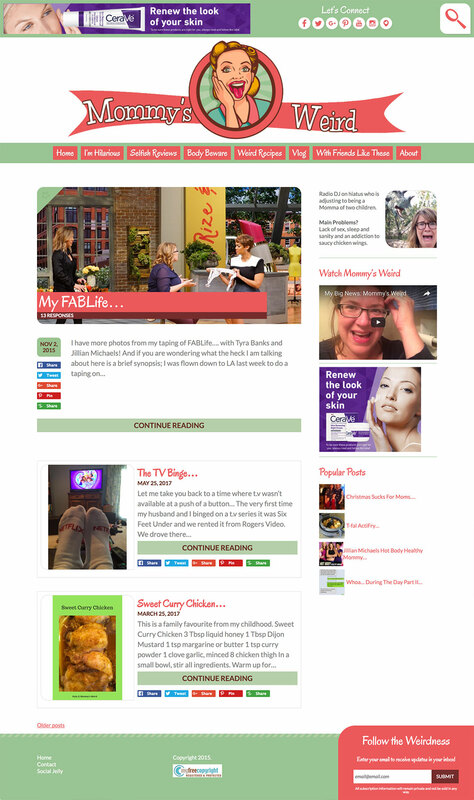 The client had previously had a very busy template, and needed something that was cleaner yet still maintained her brand as a fun and funky blogger. This theme was designed and coded from scratch for the WordPress platform. We brought in more white space to balance out all of her important elements of her website, while using her brand colours to bring in that fun element that her users expected to see. We also ensured that the template we created for her was fully responsive in order to allow users to access her website on multiple devices.